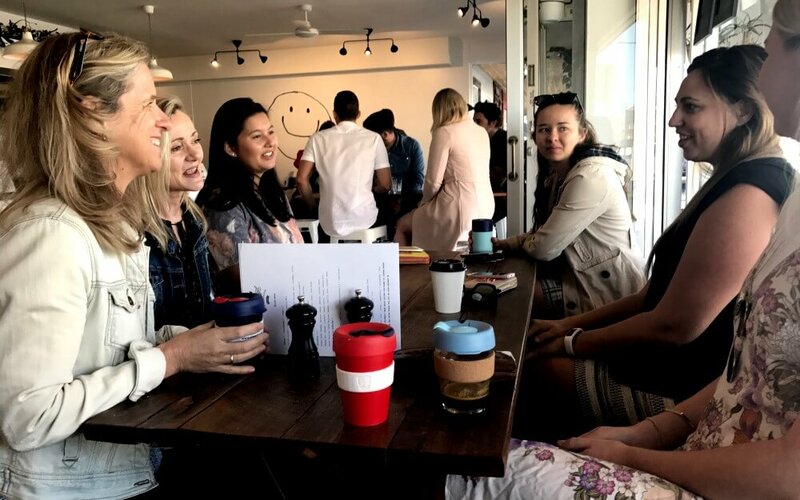 This photo is from this morning at our local coffee shop – Mr Bengel’s – across the road from the office. Every person in the photo is one of the Tailored Media team. That’s 10 people in the photo, plus me. All having coffees. Many go back for a second coffee later and a bite to eat. We’ve estimated our spend at the coffee shop to be $30,000 pa. There are two- (2) coffee shops about the same distance from the office. We started using the closer one – Wildernis – but after a while some of the staff drifted over to Mr Bengel. Here’s where the marketing comes in – or in this case the social influence. Firstly, you see, we’re not really buying a coffee. What we’re really doing is essentially going through a ritual of greeting and social networking. Coffee facilitates this. If we wanted a coffee we could just as easily boil the kettle in the office. It’s not about the coffee. It’s about the socialising. It’s about being together. It’s about connecting. And you can’t do that if the group is spread across different locations. So the only thing that could happen was that everyone in the office would start having their morning coffee at Mr Bengel. Because it’s not about the coffee. It’s about the sense of community. The next thing you might notice in the photo is that majority of the coffees are in our own Keep Cups. That’s just more social influence at work. It’s all due to the environmental awareness of Adi (far right), who regularly encourages us to be more waste conscious, to buy Keep Cups and to generally look after the planet a bit better. As more and more of us start using Keep Cups it puts social pressure on the ones not using Keep Cups to get one. So the majority of the team now take over their own cups to cut down on waste (but mostly to feel more connected to the group). Nice work Adi in getting the ball rolling and helping the planet to live just a little bit longer.